Summer is here! The days are longer and the kids are almost out of school. Summer brings days on the water. Think boats! How best to check out the latest and greatest and all things water related? Why a boat show! A day on the water in beautiful San Diego checking out everything related to water. 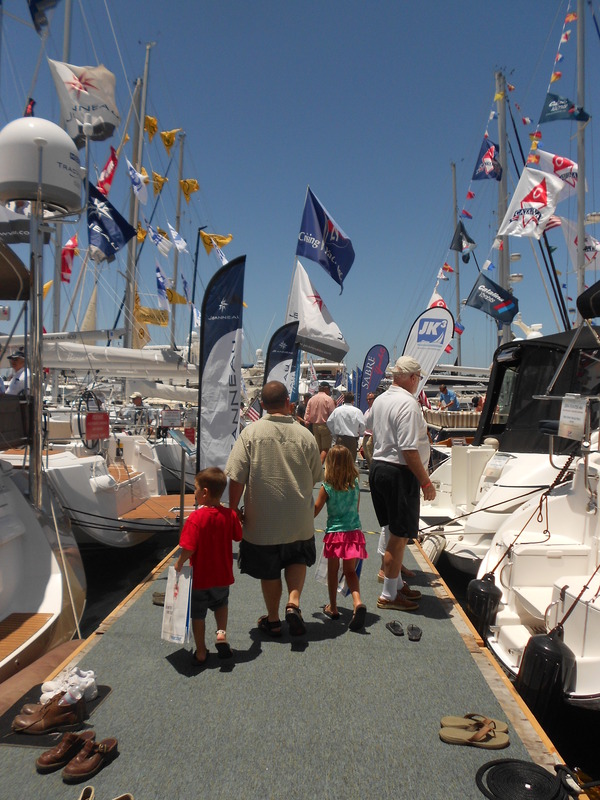 The San Diego International Boat show is coming June 19-22. I am personally going to this with my hubby and I cannot wait! My husband and I used to own a sail boat (we sold it when we got orders across the country to San Diego) and kayak, and we love everything water related. Plus there is a ton of stuff going on for the entire family. Try it Cove: FREE opportunities to try SUP (Stand Up Paddleboarding), kayaking and more. Yes! I will be here trying to SUP. Learn to SCUBA: At the “Be a Diver Pool” anyone 10 and over can learn how to scuba dive with a certified instructor in a heated pool. Just bring a swimsuit. The Diving Equipment and Marketing Association (DEMA) provides scuba gear, changing rooms and hair dryers. You can also get a fun under water photo as a cool keepsake. FREE Sailing lesson aboard the Sailing Simulator: Experience how a boat reacts to wind and waves and learn how to use the tiller with the help of an ASA certified instructor. Designed and built by a nuclear physicist, the sailing simulator recreates the actual movement of a boat under sail so you can get a feel for the water, without getting wet. It’s a unique training platform for sailors of all abilities—whether you’re just learning how to sail and or an experienced sailor who wants to practice under different sailing conditions. Hourly Educational Seminars: All seminars are hosted by experts in their fields and are FREE to attend with your regular boat show admission. VIVA MEXICO! This year’s seminar program is going South of The Border, and is loaded with educational and enlightening programs, hosted by experts and adventurers who know the waters and will share practical advice, expert opinions and tall tales. It’s time to up your education and we would like to help. Plus there will be seminars on Power Boats, to include basic docking and open water maneuvering. 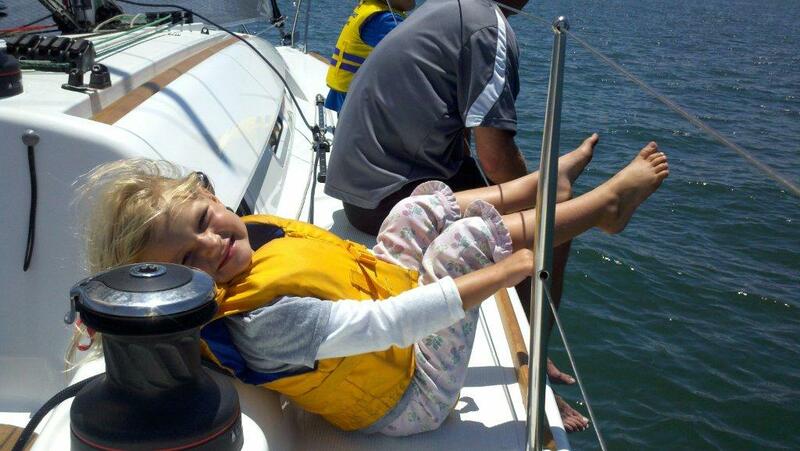 And Sailing workshops for beginners, advanced and even a workshop on Catamarans. I just might get in on this one. I’d love to sail a catamaran. 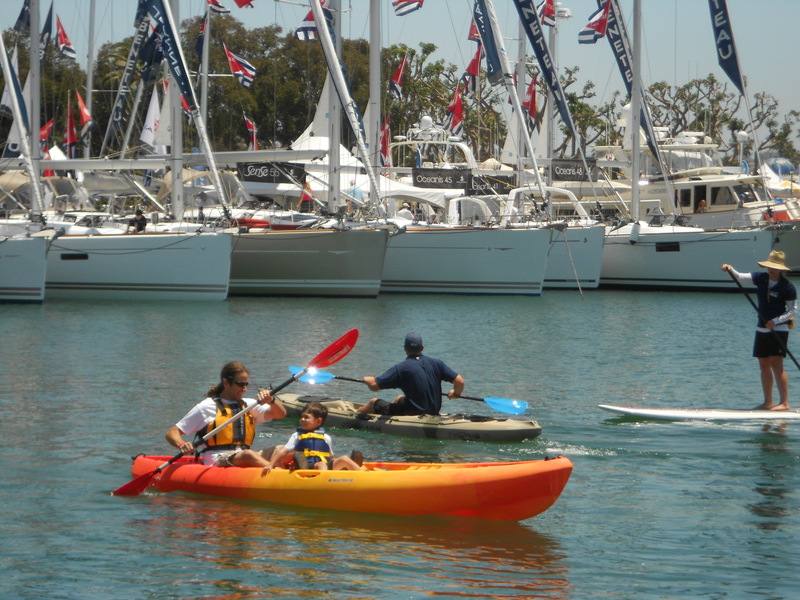 There will be Nautical Activities for the kids, Do-it-yourself clinics for boaters and food. And there’s food and drink! A Tiki Bar by Fiddler’s Green, Anchors & Ales Beer Garden, or popular food trucks, plus a BBQ hosted by the Rotary Club La Mesa. They had me at Beer Garden. 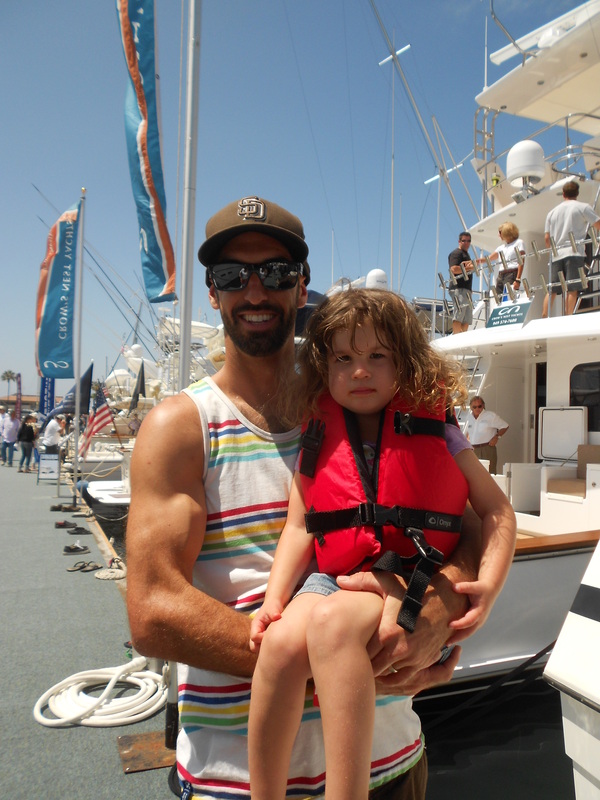 So basically if you and your family enjoy boating or water sports or just water in general, the San Diego International Boat Show is the place to be! It starts June 19 and runs until the 22 at the Sheraton Harbor Island.